This week we did annual 4th of July Butterfly Count for Buffalo County. It’s the third year we’ve done this count. Since there’s so little public land in Buffalo County, we count at our farm, and on one or two neighboring farms. 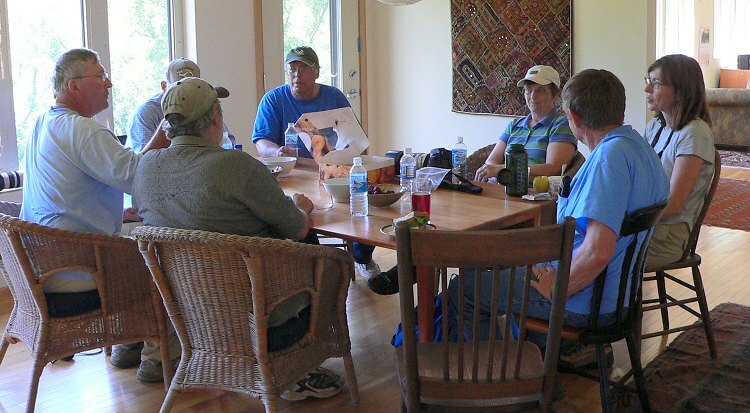 We had 8 people helping with the count, led by Mike Reese, who’s much more knowledgeable about butterflies than the rest of us. Here we all are sitting around the table. 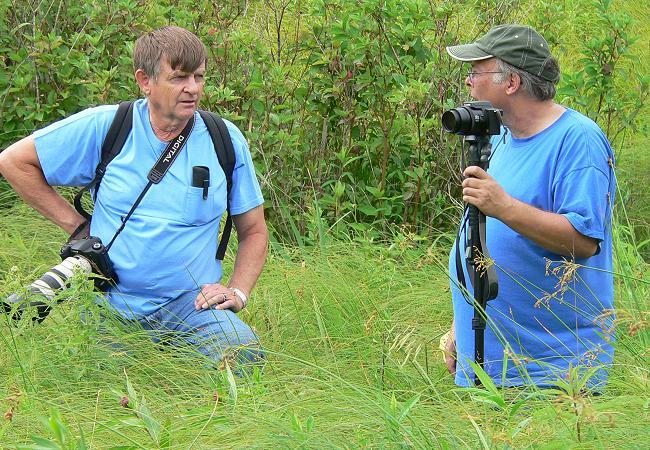 And searching for butterflies in the wetland. This is one of the wetland butterflies we found – a female Black Dash. When we were back at the house after lunch Mike and Ann found an American Snout on the antenna of Mike’s car. It seemed completely happy there – even with 8 butterfliers taking photographs of it. 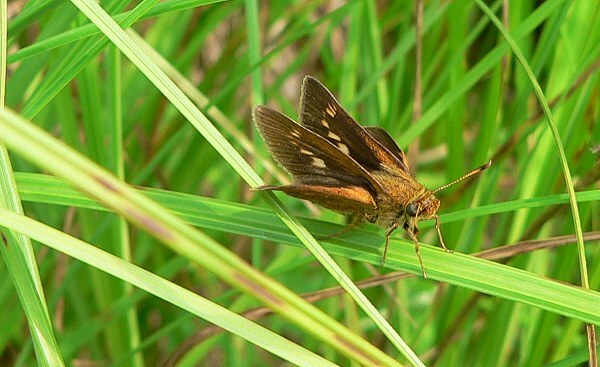 Snout butterflies are very common in the southwest, but uncommon in Wisconsin. The front of their head forms a long, thin, “snout”. 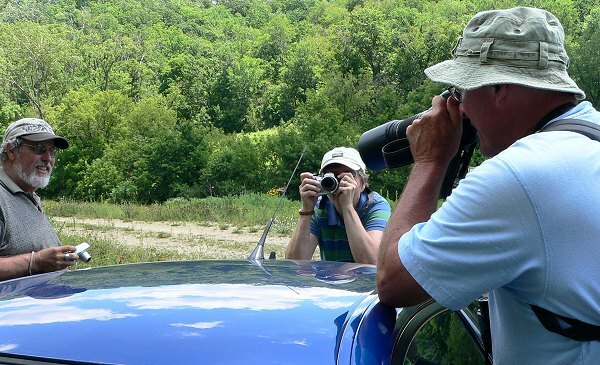 Butterfliers photographing the American Snout. 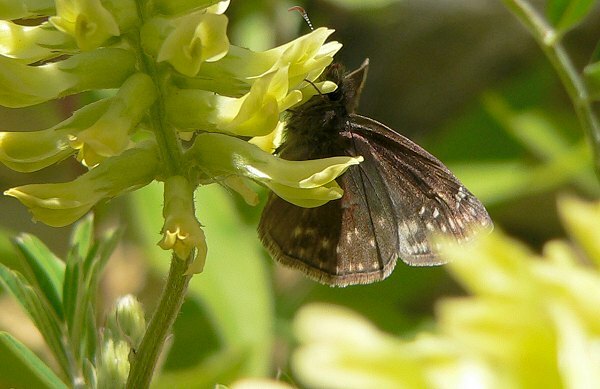 This is another unusual butterfly – a Wild Indigo Duskywing. 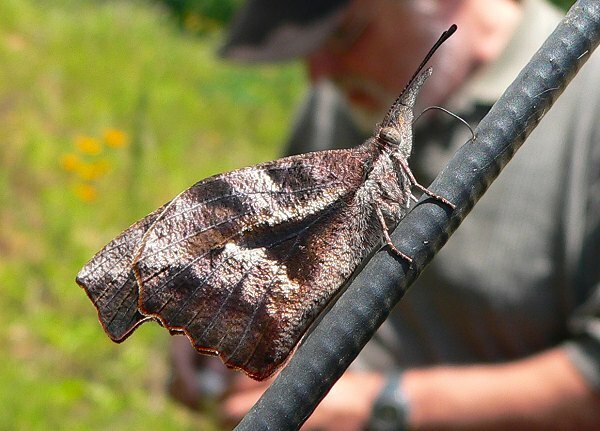 It looks exactly like a similar butterfly – a Columbine Duskywing – except that they have different host plants. We watched this one lay some eggs on Canada Milkvetch, so we could be sure it was really a Wild Indigo Duskywing. 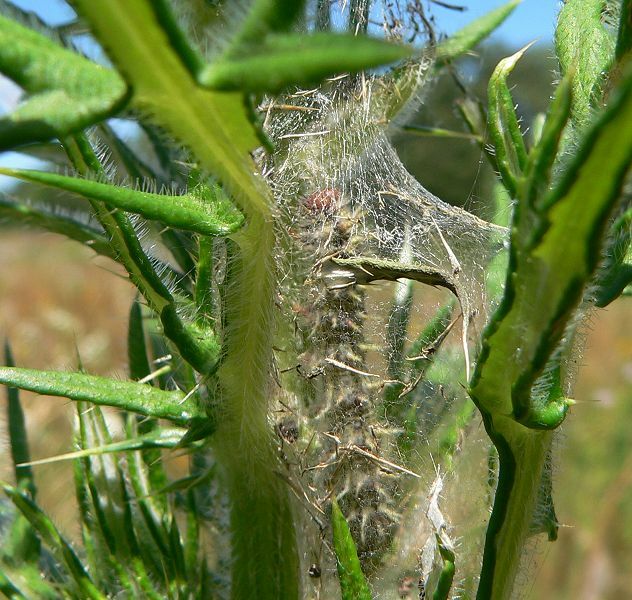 This is a Painted Lady caterpillar in its nest on a Field Thistle. Here’s another photo with a better view of the nest. 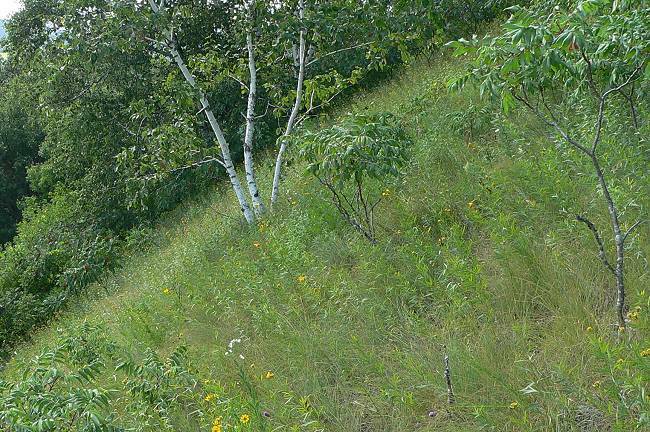 Later in the afternoon we went to Sand-cherry Ridge. It was beautiful but so windy that we didn’t see many butterflies. Prairie Coreopsis was in full bloom. We got a good butterfly list for the count. We saw 33 different species, and 493 individuals. Here are the complete results of the count. 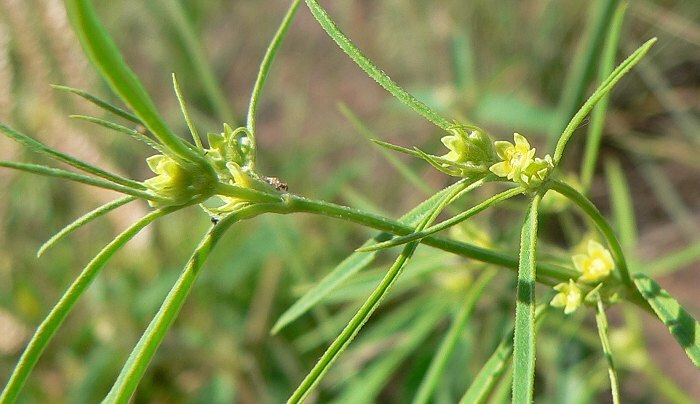 It was fun walking around with the butterfliers – I walked in some places that I don’t usually walk, and found some plants I haven’t seen before. 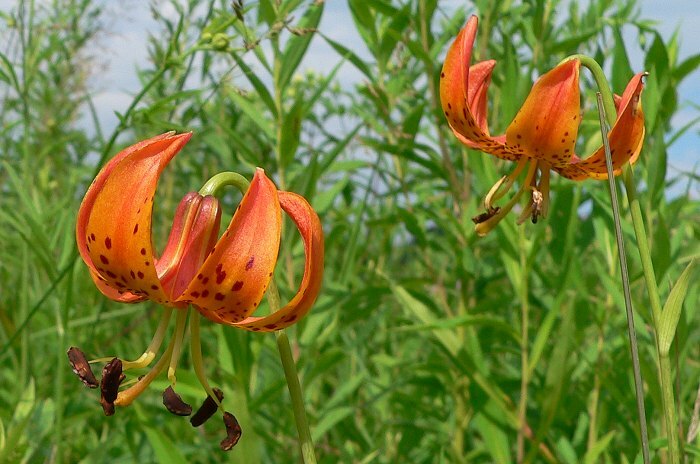 I found Turk’s Cap Lilies flowering at the wet end of West Center Valley Prairie – I’ve planted them in all the wetland areas, but this is the first time I’ve seen them growing in a place where I planted them. I stopped to collect seeds on the way down to the farm, for the first time this year. 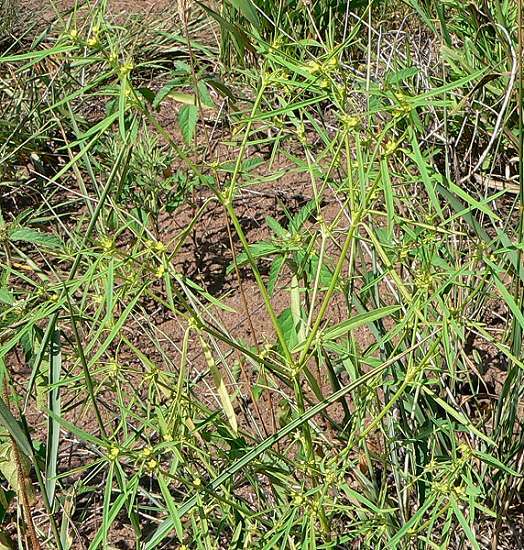 I saw some Six-angled Spurge blooming in a sand prairie along the road. 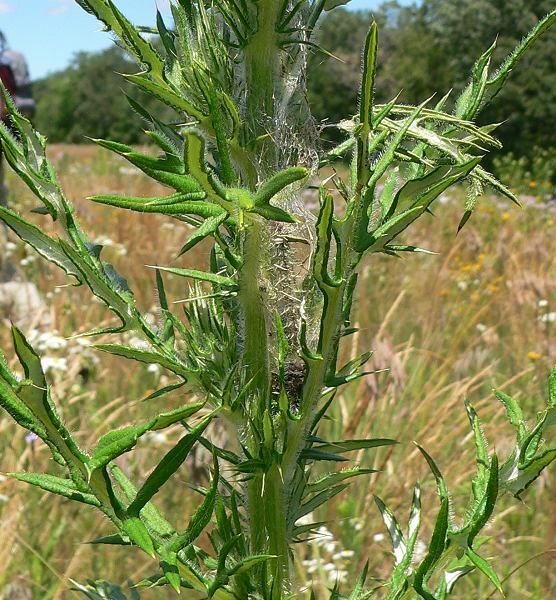 I always like seeing this plant – I was the person who first recorded finding it in Wisconsin in 2004. Here’s the story – go down the page to the entry for September 2004. I also found a really beautiful sphinx caterpillar feeding on Wild Four-O’Clock (Mirabilis nyctaginea). It’s huge – about 5 inches long. I was hoping it was ready to pupate, but it’s continuing to eat. 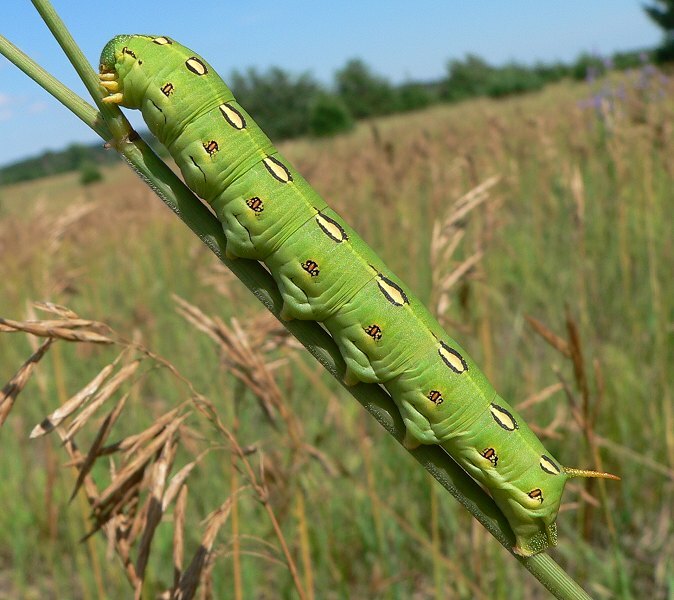 It’s a White-lined Sphinx Moth caterpillar. 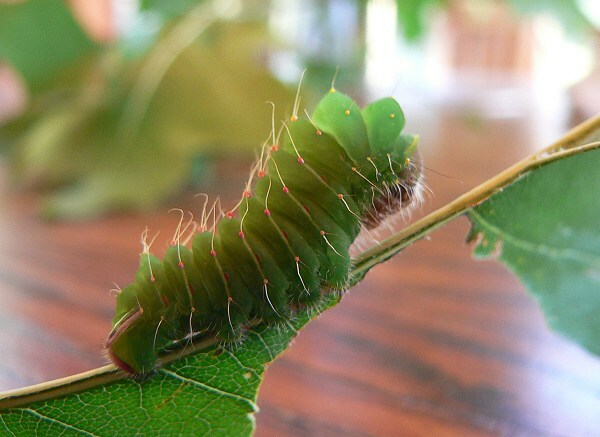 My cecropia caterpillars are getting bigger – most are in their second instar now. 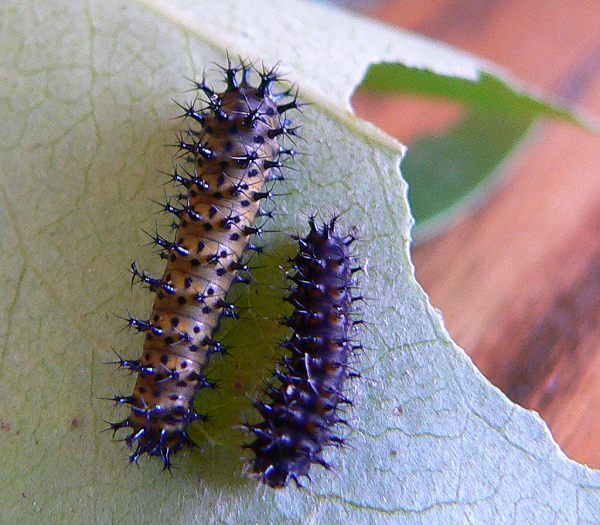 The one on the left is a second instar caterpillar, and the one on the right is a first instar. 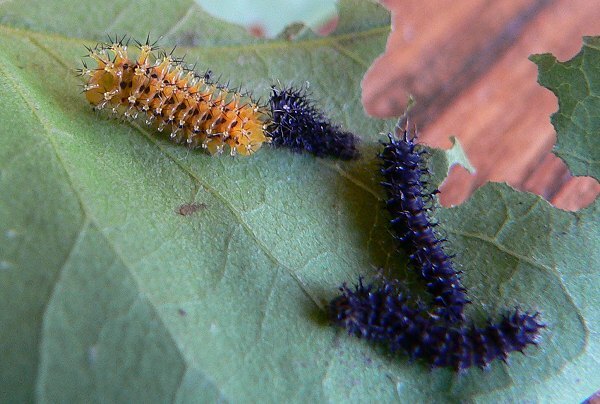 Some of the second instars are bright orange. The Polyphemus caterpillars are getting even bigger and more spectacular looking. 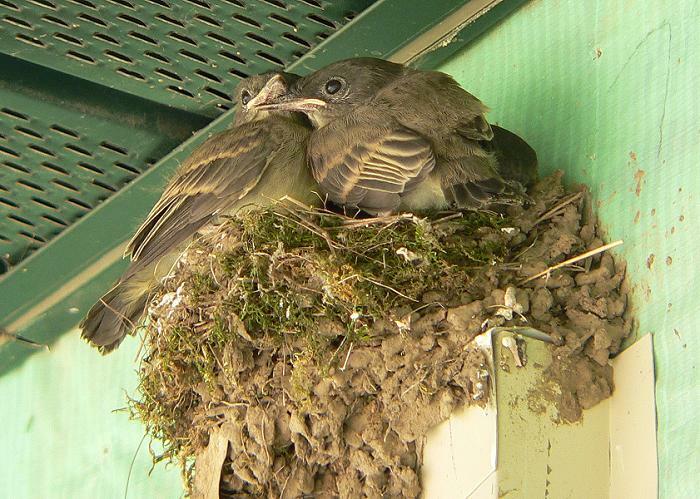 The Phoebe babies that have been growing up in a nest outside our front door finally got big enough to fledge. The day before they left they all stood on the edge of the nest, crowded together and looking much too big to fit into that small space. The next day they were gone.